Butter vs Margarine? I'm sticking with butter. When I see margarine in the supermarket, I scratch my head and wonder... who still buys margarine? To me, there's no comparison. Butter's been around for thousands of years and it has just one or two simple ingredients, cows milk and salt. Margarine is mystery oil, turned into a thick goop by scientists using a heat and all sorts of ingredients, which often turn it into an unhealthful mess that still can't compare with the taste of butter. It was created in a lab as a "Healthful Alternative" to butter, but many of them, especially stick margarine still contain trans fats. While there are newer blends that have fewer trans fats by mixing them with butter, pure margarine is still mystery goop to me. Just because something says it's Essential, doesn't mean it is. Have you noticed how many products claim to have "Essential" ingredients? Unfortunately, a lot those Essential Ingredients aren't actually... Essential. Let me explain. When it comes to packaging, the term "Essential" has several meanings, depending on the product, but for the most part, we can break it down two ways. In the context of vitamins, an Essential Vitamin is a vitamin that your body needs to get directly from food and/or supplements, because it's not something it can "manufacture" on it's own. What good are nutrition labels when the serving sizes aren't realistic? Studies have shown that as a rule of thumb, when given a larger portion of just about anything, people will eat more of it. In fact, in one study the participants were intentionally given horrible tasting popcorn in various sized packages to see if it had any effect on how much the participants ate. Even though the popcorn didn't taste good, people with larger packages ate proportionately more than those with smaller packages. 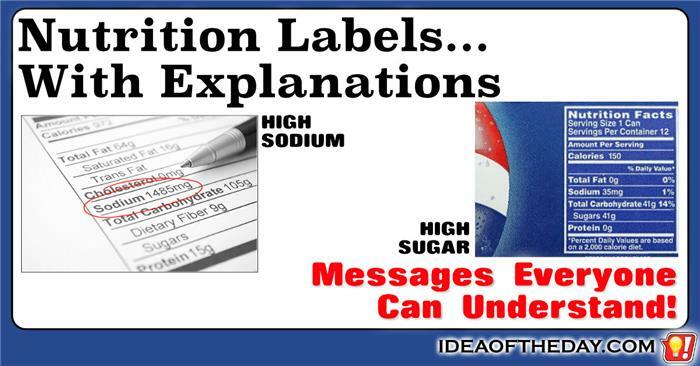 Many people don't understand the numbers on nutrition labels, so why not put an explanation next to each number? 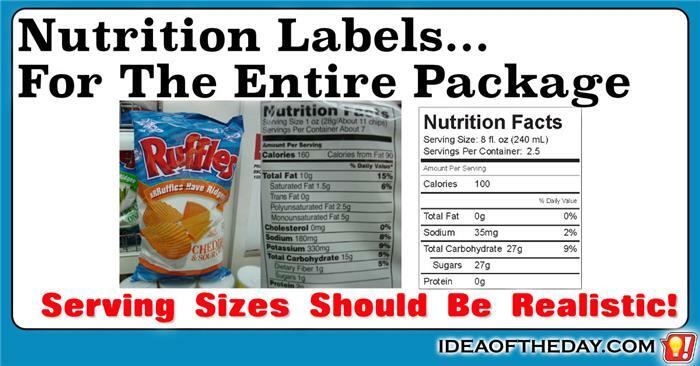 Because of FDA regulations, food companies are required to put detailed nutrition labels on every package of food they produce. While there's been quite a few changes to the style of the labels, what remains the same is how confusing it is for some people to understand them. While it's great that they've made sure the labels are large enough to see, with clearly labeled numbers and text, the fact is, quite a few people have no idea what they're reading. It's like giving out only half the score for a baseball game. Knowing the Yankees scored 4 runs in the game doesn't tell you if that's a good score, or a bad one. Frozen Vegetables That Kids Would Eat. Many of us remember eating spinach as a child, because we knew Popeye ate it too. Peer pressure starts at an early age. We ate spinach, because Popeye ate spinach, and some kids even ate carrots because Bugs Bunny did. As strange as it is, there are a lot of things we did because we wanted to be like our heroes. For kids of the 80s, Hulk Hogan would tell kids to stay fit, eat your vitamins and say your prayers, and many of them did just that. 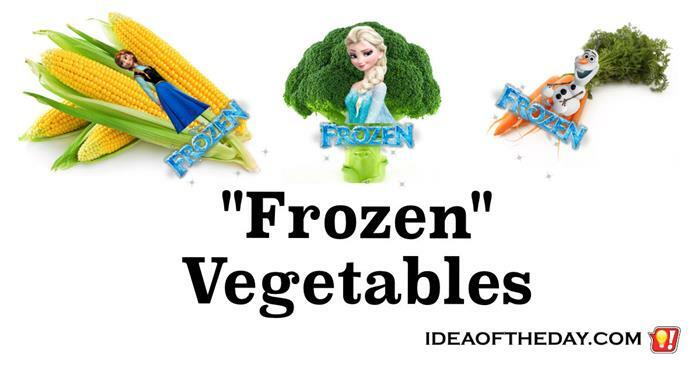 Now there is a new generation of kids who adore Disney's Frozen so much, that even the kids that hate veggies just might enjoy a plate full of "Frozen Vegetables". Chances are, if you ask somebody who just swallowed a fist full of supplements what they took, they won't know for sure. 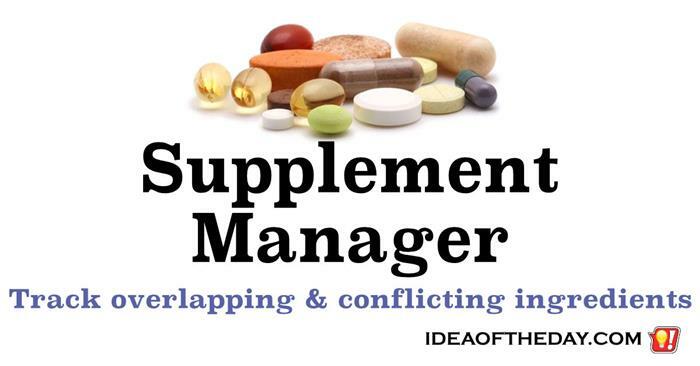 There's a good chance they can remember some of the key ingredients, but the reality is, unless they cataloged each and every supplement, they could be doing more harm than good, and never know it. The reason I say this is because many supplements have more than one ingredient. which means there will be a lot of overlapping ingredients. Worse yet, some of the ingredients may cancel each other out... or even be harmful when taken together.